Hello and thank you for stopping by my blog. 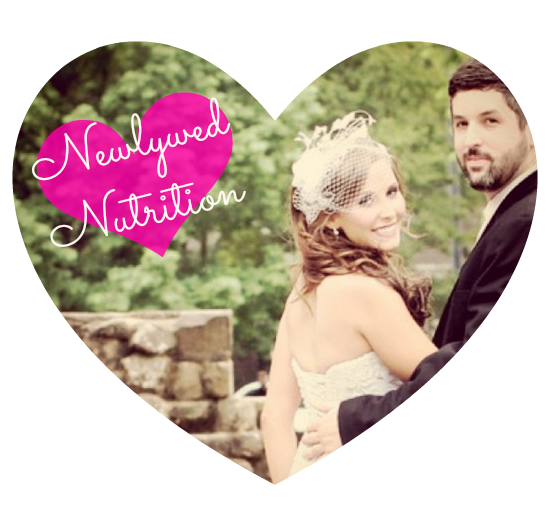 My name is Cindy Huggins and I am a newlywed (not really) and registered dietitian nutritionist. In the fall of 2009 I graduated with honors from the University of Alabama (Roll Tide) with a Bachelors of Science in Food and Nutrition. 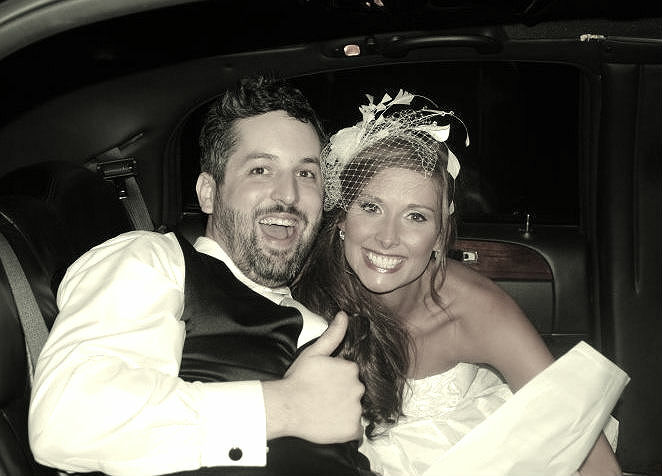 On May 1, 2010, I married the funniest, kindest, most lovable man, Brian Huggins. 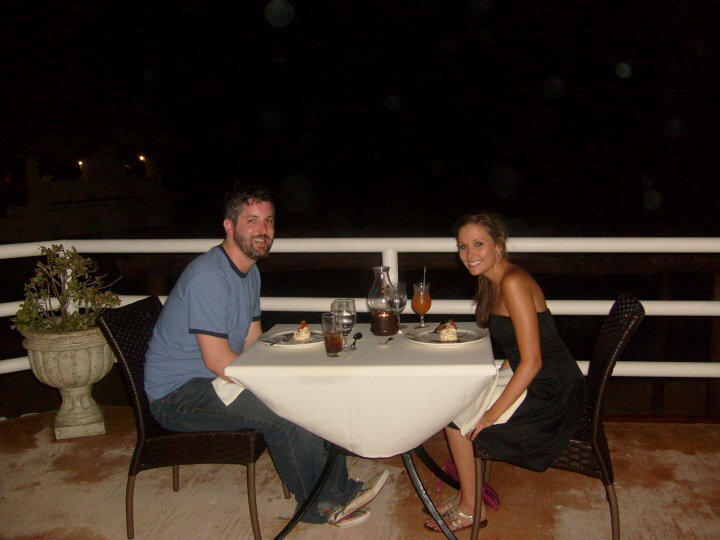 Over the past few years, Brian and I have made several moves. Now, we are proud to be back home in Tuscaloosa, Alabama! In my short dietetics career, I have had the privilege to practice in the oncology nutrition, bariatrics, wellness, foodservice and I was a waitress for a fried chicken restaurant in between (the owner is a dietitian!). This past summer I quit my salaried plus benefits job to go back to school full-time. In Spring of 2015, I am scheduled to graduate, earning a Masters Degree in Human Nutrition. Then what??? Stay tuned to find out, because I have no idea. UPDATE: On May 1, 2015 Brian and I celebrated our 5 years anniversary while I walked across the stage to receive my Masters Degree in Human Nutrition. Yes, I am a Master!! Beyond food, nutrition, and fitness, I enjoy building things. You could call me a do-it-yourselfer! I love picking up furniture off the side of the road and bringing it back to life. A few Christmas's ago got all tools. Power tools are awesome, ladies! I could spend hours lost in making things. Other then that I'm a typical southern lady. I drink sweet tea out of mason jars, I say Ya'll, and love the Lord with all of my heart. 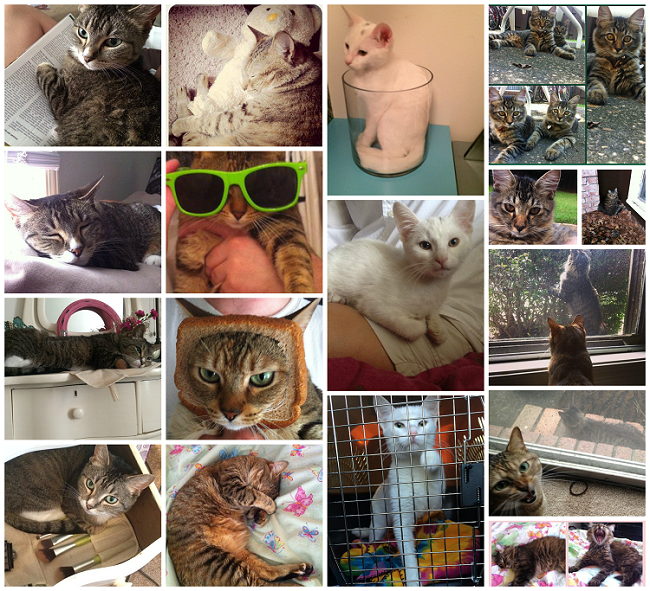 To say we love our cats would be an understatement. (we treat them like our own)! Some would say being a Newlywed ends after the first year or after your first kid, however I see it differently. Throughout our life, we will continue to explore new things as a married couple and I hope to share those memories with you all! The information shared on this site is for educational purposes only. Though I am a registered dietitian, the thoughts, opinions, and information on here are not meant to replace the information from your own health care provider. Persons with serious health issues should consult a physician before undertaking any new diet or exercise plan. The opinions on this site are my own and do not necessarily represent those of my employer or professional organizations. As a nutrition expert and a newlywed, I now face a journey of compromise especially when it comes to food! My mission: Healthy Huggins! Hi, Cindy! I found you through the Better Blogger Network and I love your blog. I am now following you through FB. If you get a chance, please visit my blog at www.kreativecreationz.com. P.S. My husband is also an Alabaman! Roll Tide! hey Kendra! Thanks for stopping by! I'll be sure to check out your blog! Roll Tide!! I've nominated you for the Liebster Award, congrats my dear! Hi Cindy! Love your blog! OMG Amino Acid!? Best name ever! So cute! Awe thanks, Farrah. I'm glad I found yours too. Yay, for Cat Lovers!! Picking up furniture off of the side of the road is a past-time of mine! Thanks again for stopping by. Hey Cindy, love your blog and miss you!! Hey Debra!!! I was just thinking about you the other day. I hope all is well. Hopefully we can connect at the ALDA meeting in March.